This reliable fixed position scanner employs an aggressive laser scan engine that reads at a rate of 100 scans per second. The integrated auto-trigger mode enables hands-free operation. 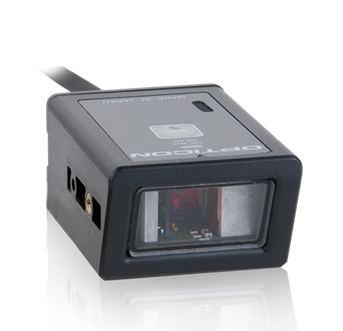 The Opticon NLV1001 offers a wide variety of configurable options for easy integration in your business process. The NLV1001 is equipped with a compact ABS housing with 2 different mounting options. This stationary scanner is available with an RS232, USB (HID/VCP) and Keyboard Wedge interface, to fit any design and implementation requirement.